It doesn’t hurt that Eddie Redmayne isn’t the big burly type. 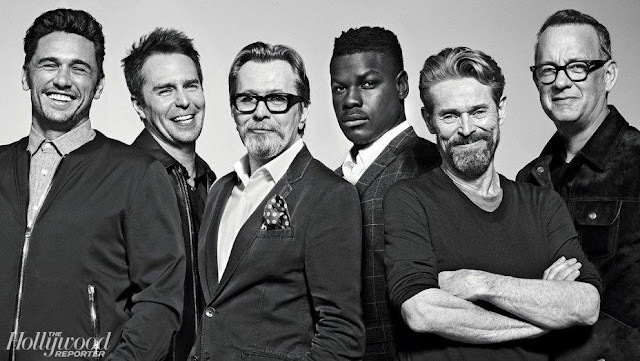 That being said his transformation from Einar to Lili in The Danish Girl is remarkable and brave as he both revealed and reveled in his inner femininity. The wide, full mouth, the splash of freckles across his nose, his gorgeous eyes. I wouldn’t be surprised to read that he’d stopped working out, allowing his muscles to soften. 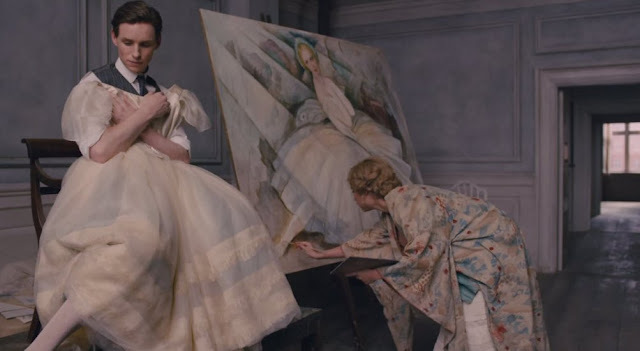 Just like Einar/Lili in the film who pays to observe a prostitute to better mimic the way she moves, Redmayne must have spent oodles of time studying the way a woman moves every element of her body, from the way she holds her ankles gracefully, to the tilt of her chin. He was remarkable and exquisite—there’s a feminine word for you—and the zeitgeist being what it is, he’s probably a shoe-in for the Oscar again. It’s a painful real-life account of a man who feels he is essentially a woman, born in the wrong body. His pain is palpable, not only the mental anguish he suffers, confused about his identity, accused of being insane and threatened with institutionalization, but the physical pain of being beaten to a pulp because he doesn’t fit the norm. To be honest the film was difficult for me to concentrate on, my thoughts kept returning to a man I was once in a relationship with—a man who was the big, burly type—who finally revealed he was a cross-dresser. Please note I’m not equating cross dressing and transgenderism, they’re not the same, but they share the same affinity for women’s clothing. 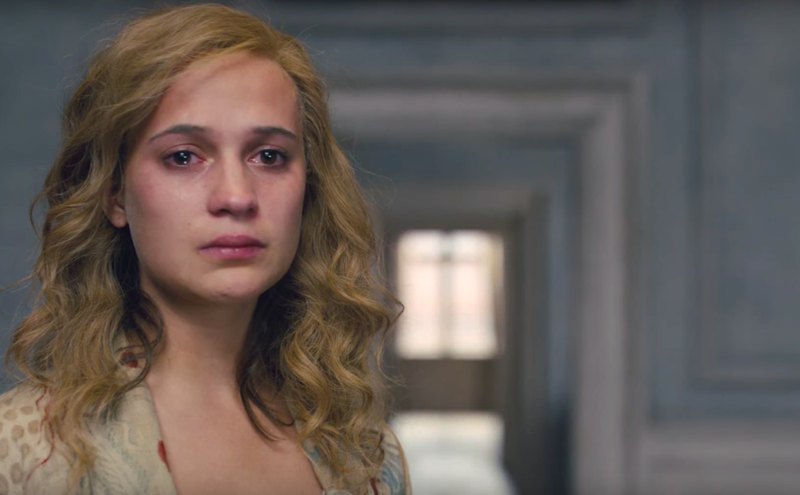 My heart went out to Alicia Vikander’s Gerda; it was Gerda’s pain that resonated most with me, probably because it all hit just a bit too close to home. While for Gerda, finding Einar/Lili dressed in a silk slip under Einar’s shirt was initially a bit of a turn on, I was never able to feel that sense of sexual abandon. I suppose I was too uptight, and seeing my man in women’s underclothes simply confused me, as much as seeing him in my good knit skirt, worn without my permission, stretching it out beyond recognition, infuriated me. It doesn’t stay a turn on for Gerda either, as she sees she is losing the man she loves. You’ve got to hand it to her, she really stood by her man. I found Alicia Vikander’s performance, from the playful and seductive artist, unconventional and daring, to plaintive and desperate wife, thoroughly believable and gut wrenching. If awards really do mean anything at all she’ll be among the Best Actress nominees. Appropriate for a film about artists, Tom Hooper used his cinematic canvas gloriously; so many shots looked like they could be hung right on the walls. 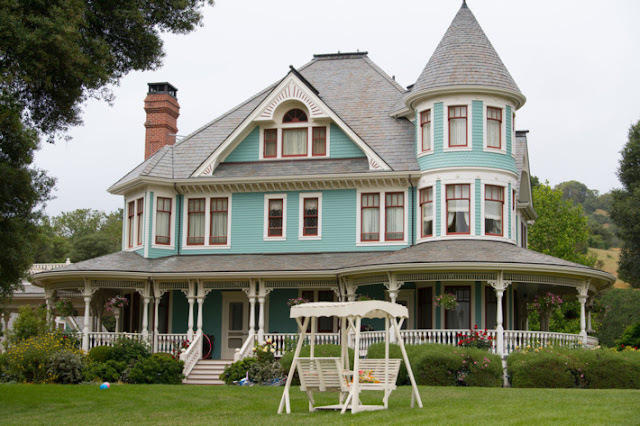 Production design was by Eve Stewart with cinematographer Danny Cohen doing the lensing; both being integral parts of Hooper’s team in The Kings Speech and Les Miserables. The cast includes Matthias Schoenaerts, Ben Whishaw and Amber Heard, all fine actors turning in exemplary performances. For me though, scenes from my own life kept getting in the way make it difficult to truly judge the film on its own merits. Even the music by Alexandre Desplat—and I’m a bit of a Desplat groupie—didn’t quite break through. One scene in particular sums up the blurred lines of my response. On the way to an event where Einar is dressed as a woman, going out in public as Lili for the first time, Einar asks Gerda “Am I pretty enough?” Gerda assures him that he is. For me the action that immediately followed wasn’t from the film. The scene that rushed to my head was the one where my old boyfriend is standing next to me in front of our bathroom vanity, both our reflections clear in the large mirror. He’s wearing a cheap blond wig and a tight black lace dress that have appeared out of nowhere. He’s putting on blue eyeshadow but all I can think is I don’t own blue eye shadow. All I can see is the blue shadow of his beard showing through his foundation. His words “Don’t you think I look pretty? Just a little bit pretty?” echoing in my ears all these years later. That’s the scene I’m watching while the action of The Danish Girl blurs before my eyes. 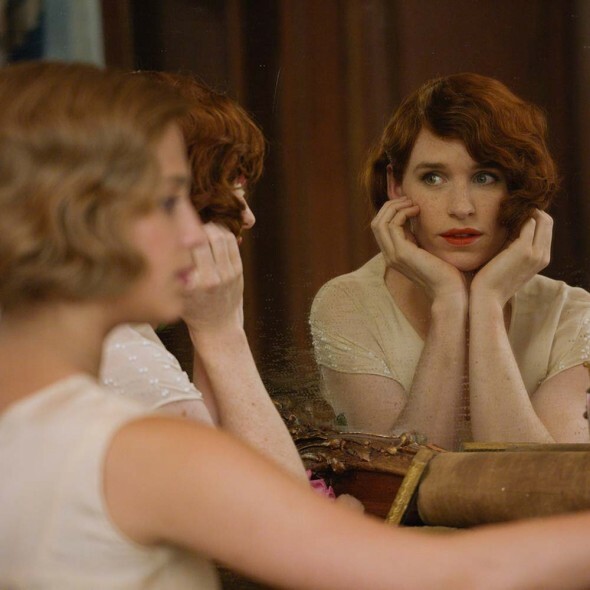 Is The Danish Girl a great movie? I don’t know. I really don’t. I can’t really say I watched it dispassionately and while we all filter art through our own life experiences and understanding, in this particular case, rather than provide clarity, I think mine clouded my vision. I’ve never claimed to be a real critic, writing real reviews anyway. If you want one of those, may I suggest Rotten Tomatoes where you can take your pick? 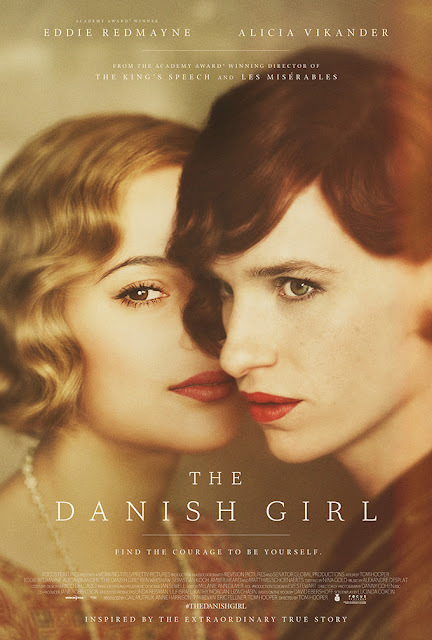 Based on the book by David Ebershoff, inspired by the real life of artist Einar Weggener who became Lili Elba, The Danish Girl is in theaters now. Sometimes films and books hit too close to home, but I like how our amateur "reviews" get to reflect that. Bringing us all more stories of the varieties of human lives and experiences.